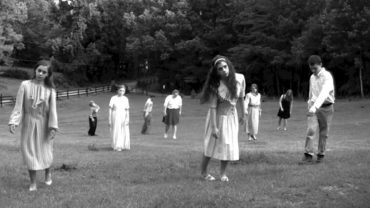 Join us to watch the movie that started it all, Night of the Living Dead! This 1968 classic inspired movies like Get Out, Rosemary’s Baby, Silence of the Lambs which use devices of fear and horror to make biting social critiques. The story follows a woman named Barbara (played by Judith O’Dea), who travels with her brother to visit her father’s grave, only to be attacked by a man in the cemetery who kills her brother. 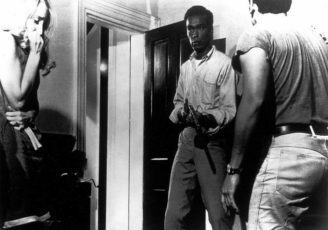 She flees the scene and arrives at a farmhouse, where she ends up hiding with several people, including a man named Ben (Duane Jones). So grab your best Zombie costume (there’s a costume contest!) 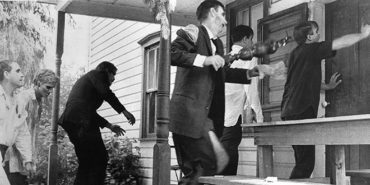 and head to the New Parkway Theater on Saturday, October 27 at 3 pm for Night of the Living Dead… if you dare! For more information visit kpfa.org or thenewparkway.com! See you in the popcorn line!